Over the course of the last century, the public imagination has been simultaneously enthralled and terrified at the prospect of extraterrestrial involvement in human affairs. Ever since rumors emerged that the secretive Vril Society in Germany had successfully channeled beings from other stars in a trance state, and schematics were unveiled of what appeared to be Nazi flying saucers, the world became obsessed with the idea of communication with extraterrestrials. With the Roswell crash in 1947 and the subsequent surge of UFO sightings and apparent abductions that started taking place shortly thereafter, the collective mind became inextricably focused on the idea of ETs and their potential interaction with humankind. Over the years, dozens of apparent insiders have come out of the woodwork with stories of free energy, reverse engineered UFOs, secret slave colonies, antigravity, and government cover-ups that, if ever proven true, would spark drastic and irrevocable changes to life on this planet for every one of its inhabitants. The advent of free energy technology alone would put a permanent end to poverty and hunger, freeing humanity from the rule of a tyrannical and corrupt elite who have foisted upon them war after meaningless war. While some would say that such a monumental clandestine effort to explore space and research UFOs would be impossible to keep under wraps, it bears remembering that no one knew about the Manhattan Project until the first nuclear weapons were detonated over Japan and that everyone thought Operation Northwoods, the plot to stage terrorist attacks on American soil to justify invading Cuba, was a conspiracy theory until the pertinent documentation was declassified. While many of the following testimonials may seem completely beyond belief, the alleged existence of black budget space programs is one secret that these ten individuals have risked everything to expose. 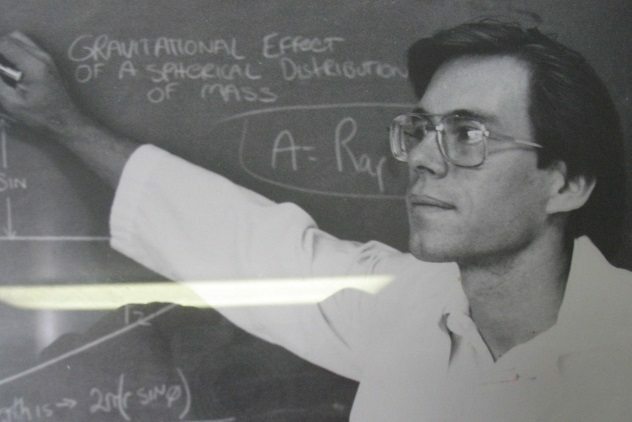 Though Bob Lazar never really wanted to be lumped in with the UFO crowd, he remains the man who ignited popular interest in the secretive Nevada military base known as Area 51. In 1993, Lazar became one of the very first purported UFO insiders to break the veil of secrecy, motivated by what he described as concerns about the way in which the UFO subject was being handled. Lazar claims to hold advanced degrees in electronics and physics from CalTech and MIT, though both institutions insist that they have no records of his attendance. An old phone directory seems to corroborate Lazar’s assertion that he once worked for Los Alamos, though any official records of employment, along with his hospital birth records, have disappeared without a trace. Lazar reports that he was part of a team of scientists assigned to the top secret base north of Las Vegas known as S4. His work at this camouflaged base built into the sandy hillside consisted of inspecting captured extraterrestrial spacecraft for the purposes of reverse engineering. His schematics of the UFO which he calls the “sport model” look like the archetypal saucer shape replicated in thousands of toys and films. In the course of his research, Lazar discovered that the sport model, along with the other saucer-shaped craft he inspected, appeared to be propelled by amplified gravity waves. Bob doesn’t regret coming public, but these days, he’s more focused on his scientific supply company and consulting work than he is on spreading the word about extraterrestrials. He and his wife now live in the boondocks to avoid UFO fanatics and are in no way trying to capitalize on his wild claims. Interestingly, part of his 1993 disclosure was the assertion that the antimatter engines in the UFOs that he inspected ran on something called element 115. This part of his story seemed like pure fiction until scientists were successfully able to synthesize element 115, aka Moscovium, in a lab in 2003. Some knew the late William Tompkins as an avid builder of model ships. Others were aware of his work as the corporate director of North American Advanced Space Research and as a member of the Red Team at General Dynamics Corporation. Yet some researchers care less about Tompkins’s illustrious career in the aerospace sector and more about the claims he made about his involvement in a secret space program. 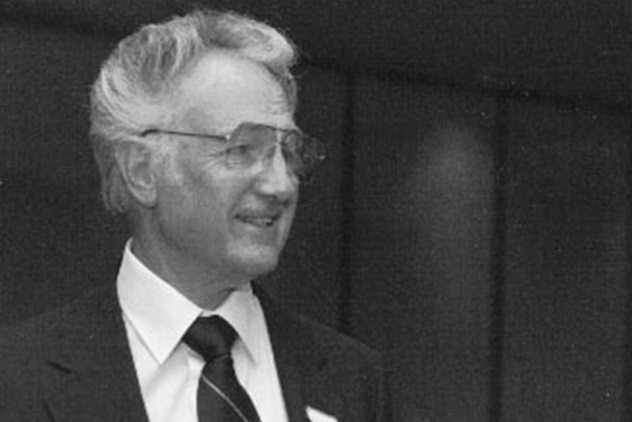 According to Tompkins, who wrote a book detailing his experiences in the secret side of Naval Intelligence, he was recruited before even finishing high school to back engineer extraterrestrial communications systems. Tomkins also claimed to have designed over 16 models of spacecraft for the Navy at his first think tank job, some of which are apparently still in use today. He believed that extraterrestrial civilizations had been meddling in human affairs for millennia, with some factions exploiting us for warlike purposes and others attempting to accelerate our evolution. Tompkins died on August 21, 2017, in the midst of the first total solar eclipse viewable in North America in 99 years. Bob Dean’s life changed forever when an Air Force colonel brusquely slapped a 20-centimeter-high (8 in) document on his desk and said, “Here, read this. This will wake you up.” At least, that’s what Dean says happened one sleepy night in NATO’s War Room during his service as a master sergeant between 1963 and 1967. 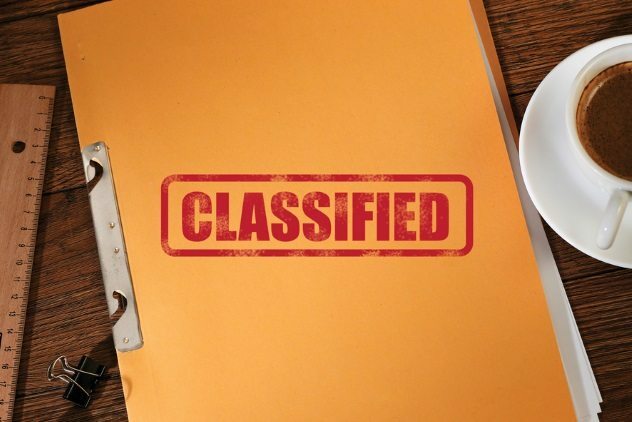 Usually reserved for the eyes of those holding “Cosmic Top Secret” clearance and above, the document that Dean claims to have witnessed detailed NATO’s three-year investigation into the UFO phenomenon, which employed the services of physicists, astronomers, sociologists, and theologians. According to Dean, the document concluded that extraterrestrials were not a threat to humanity and had been visiting the Earth for hundreds of years. In his career as a professional ufologist, Dean has sought to corroborate these claims by pointing out instances of saucer-like objects in ancient cave drawings and classical pieces of art. Though it’s confirmed that he served his country for decades in the armed forces, many have disputed Dean’s unsubstantiated claims regarding his access to the NATO report. These sustained assaults on his credibility haven’t stopped Bob from making the UFO convention circuit and appearing in various interviews. Steven Greer has become one of the loudest voices demanding full disclosure of extraterrestrial contact, but this former trauma surgeon had other plans in mind when he first started exploring the UFO phenomenon. Accepting the supposition at a young age that extraterrestrials were visiting the Earth, he wanted to be the person to organize the diplomatic apparatus that would interface with these mysterious visitors. But decades of petitioning prominent Washington lawmakers and power brokers, appearing before the National Press Club, and serving as the main source for the recent UFO documentary Unacknowledged have pushed Greer firmly into the limelight as a dedicated antagonist of the alleged extraterrestrial cover-up. Over the course of his career, Greer has met with dozens of supposed secret space program insiders, acquired thousands of documents to back up his claims, and has founded two organizations to promote the release of secret technologies and disclosure of ET contact. Greer claims that among the technologies obtained from downed alien spacecraft is the secret of free energy, which he asserts has been kept from the public due to the immense profits made from the sale of oil, coal, and natural gas. Greer repeatedly petitioned high-ranking members of the US government to disclose what they knew about extraterrestrials until he concluded that the pertinent information was being hidden even from the president of the United States. Since then, he has redoubled his efforts in popularizing the ET phenomenon among the public and has appeared in the documentary films Sirius and Unacknowledged. One of the more bizarre claims that Greer makes in the latter film is that Marilyn Monroe didn’t die of a drug overdose but rather was on the verge of holding a press conference disclosing everything she’d learned from John and Robert Kennedy about UFOs and was silenced before she could reveal her secrets. On December 16th, 2017, The New York Times released an article called “Glowing Auras and ‘Black Money’: The Pentagon’s Mysterious U.F.O. Program.” This investigatory piece by America’s most prestigious newspaper centered around a declassified UFO video released by the Department of Defense and the testimony of Luis Elizondo, one-time head of the Pentagon’s Advanced Aerospace Threat Identification Program. The short video shot from a Navy fighter jet appears to depict a saucer-shaped object flying above the clouds before abruptly rotating sideways. Since the UFO was matching the speed of the jet filming it, the G-forces involved in such a maneuver would have been far more than a human pilot would have been able to withstand. Yet Elizondo believes there’s compelling evidence that the pilot may not have been human. Supposedly closed down in 2012, the Advanced Aerospace Threat Identification Program was tasked with locating UFOs in the skies and was apparently also involved in the recovery of downed craft. In an interview with CNN, Elizondo stated that he had seen enough during his tenure in the program to be convinced that human beings aren’t the only intelligent life in the universe. After quitting the Pentagon in October 2016, Elizondo went on to join the ranks of Hal Puthoff, Steve Justice, Chris Mellon, and Tom DeLonge as a core member of a recently founded initiative called To The Stars Academy. It may simply be impossible to ever stop associating Tom DeLonge with the 1999 punk-pop hit “All the Small Things” and album titles like Take off Your Pants and Jacket, but this former Blink-182 front man has even bigger things in mind than the band that will define the millennial generation for decades to come. Tom is the founder and CEO of To The Stars Academy, a unique initiative that seeks to blend entertainment and alien disclosure into one delicious package. He’s attracted a bevy of respectable contributors to his cause and has some interesting stories to tell about the path that has led him from world-renowned rock star to aspiring NASA competitor. 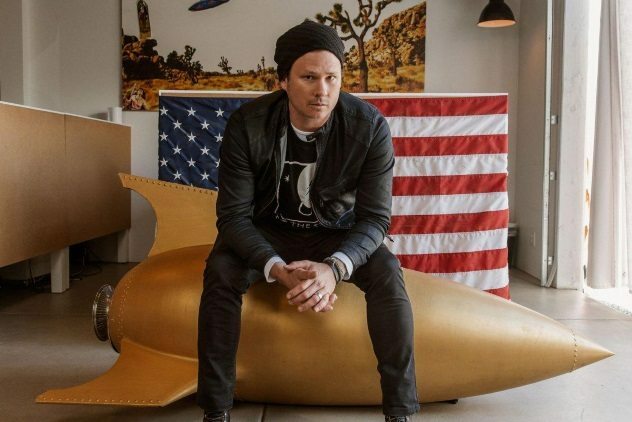 According to DeLonge, his interest in UFOs dates back to his Blink-182 days, when he would spend every free moment he had on the Internet looking for evidence to prove the existence of intelligent extraterrestrials. This amateur interest somehow evolved into actual contact from government agencies, and before long, DeLonge was visiting the Pentagon and being flown around the country to meet with various generals and private interests. It seemed that the United States military industrial complex had decided to start revealing UFO information and wanted to use DeLonge as the face of their disclosure. Suffice to say, public reception of DeLonge’s change in career has been mixed. Those who think he’s at least partially telling the truth worry that his entire initiative might be some kind of government disinformation campaign. And while there are still those who think he’s flat-out making it up, these voices have grown quieter with the addition of more and more distinguished names to the ranks of the To The Stars team and the release of the recent UFO-themed New York Times article, which he seemed to have predicted weeks in advance. According to DeLonge, the Navy video released with the article is “only the tip of the spear,” with many more disclosures to come. The UFO research community has good reason to fear disinformation agents in their ranks. 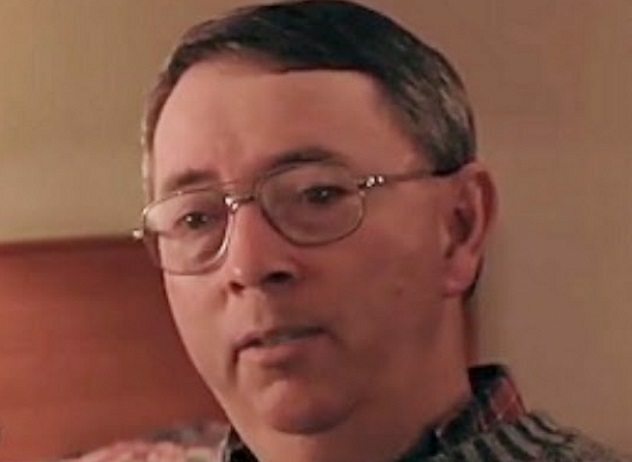 For years, Richard Doty made a habit of reaching out to ufologists and alleged contactees and presenting them with a proposition. Telling his gullible prey that he was with the government, he would then offer up all the secrets of UFOs in exchange for their cooperation. While the effects of this disinformation campaign seem to have been largely harmless, one of Doty’s famous victims was Paul Bennewitz, an electronics engineer who lived near the base where Doty was stationed. 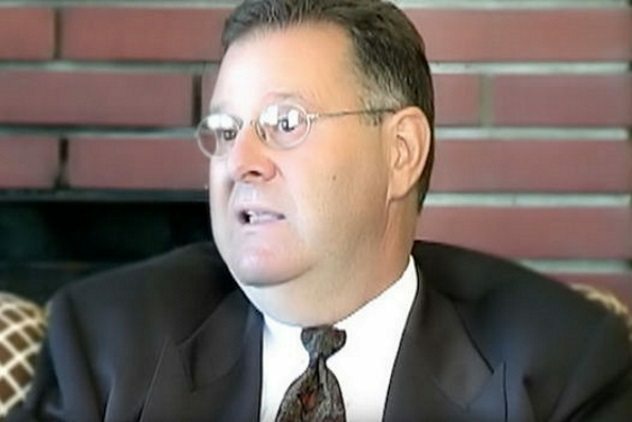 Over the years, Doty and his team fed the UFO-seeking Bennewitz lie after lie until he suffered a complete mental breakdown. Yet it remains unknown whether Doty was spinning a web of pure deception or whether some of his information may have been based in truth. 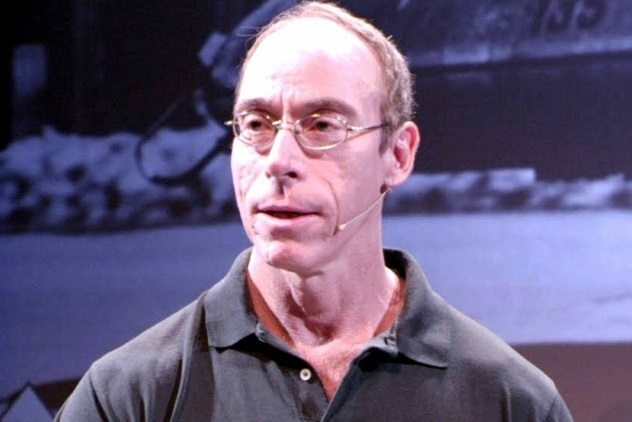 His testimony in the documentary film Unacknowledged seems to indicate that he was indeed aware of the existence of real UFO crashes and reverse engineered technologies capable of taking human beings into the far reaches of space. But coming from the mouth of a professional government con man, anything Doty says is certainly suspect. Though hard evidence of extraterrestrial visitation to planet Earth and the existence of secret government space missions is admittedly hard to come by, this dearth of facts might be more due to governmental interference than an actual lack of documentation. According to Karl Wolfe, a former Air Force sergeant who worked in the National Security Administration, photographs taken from orbit prior to the 1969 lunar landing that depicted a vast base of the dark side of the Moon had been purposefully destroyed by elements within NASA, the NSA, and the US Air Force. According to Wolfe, he was shown a single photograph of the base in confidence by a superior during his tenure at the NSA. Though he was duly impressed by the implications of the photo, he was more concerned than excited. He knew as a trained intelligence agent that what he had seen was never meant for his eyes and that the very existence of such a photograph endangered the life of anyone who witnessed it. Edgar Mitchell of Apollo 14 fame was the sixth man to walk on the Moon and always signed his correspondences accordingly. But Mitchell became somewhat of an embarrassment to NASA later in life when his passions for meditation, spirituality, and alternative healing led him into the arms of the ufology community, and the classified information with which he had supposedly been entrusted started spilling out. Before his death in 2016, Mitchell stated that not only was the Roswell incident a real instance of a downed alien spacecraft, but the extraterrestrial entities that crashed there had been observing military tests of nuclear weapons. 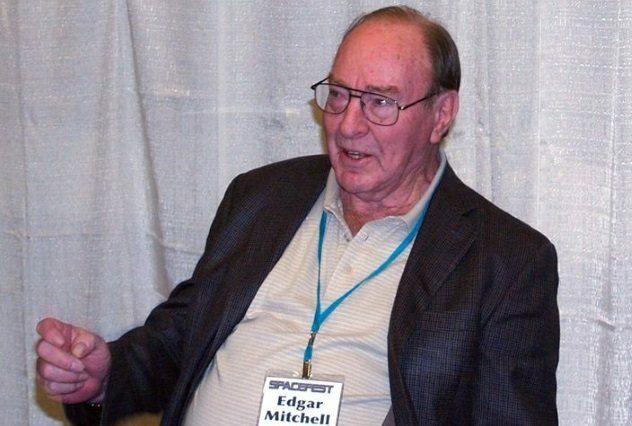 Mitchell revealed to the world in an interview with Kerrang in 2008 that the government cover-up of extraterrestrial visitation and the space exploration technologies derived from recovered UFOs had begun with the Roswell crash and continues on to the present day. He claimed to have been let in on this information due to his ranking position as an Apollo astronaut. NASA was quick to debunk his assertions, but in doing so, the space agency appears to have gotten a bit ahead of their skis. Mitchell never stated that NASA was involved in the UFO cover-up, but NASA still went out of their way to state that they were involved in no such activity. Mitchell also never claimed that NASA tracked UFOs, yet the space agency still felt the need to clarify that this wasn’t one of their functions, either. Mitchell agreed with claims made by other supposed insiders that the main reason UFOs are being covered up isn’t to avoid a panic but to suppress the technologies that power these craft. When confronted with the majesty of outer space during his Apollo mission, Mitchell experienced a profound spiritual awakening that no doubt contributed to his urge to share what he knew with the public. 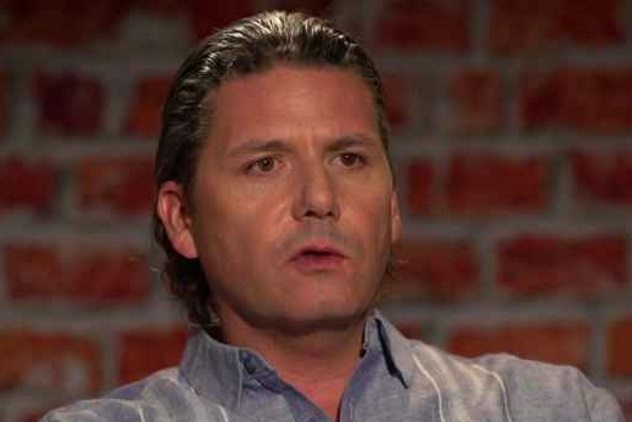 If even ten percent of what Corey Goode claims ever ends up being proven true, humanity is due for a brutal wake-up call. Goode has been making the ufology convention circuit since 2015 to share his unique message. Considered life-changing to those who believe and infinitely entertaining to those who don’t, Goode’s testimony includes assertions that he was recruited into a secret space program as a teenager and served for 20 years in a spacefaring branch of the US Navy. During his tour of duty, he supposedly had access to sources of information that paint a picture of human history very different from the one with which we’re familiar. He alleges that Antarctica is absolutely filled with ancient ruins and that alien technology is buried just below the ice. He goes on to claim that this icy continent used to house extraterrestrial refugees that bred with humans to create a master race which once ruled the planet. Those wondering if any of these fanciful claims could possibly bear a grain of truth won’t have to wait long for confirmation: Goode and esoteric researcher David Wilcock both assert that a full disclosure event is coming soon that will utterly reframe our understanding of history and the role that planet Earth plays in the wider universe. Samuel is a freelance writer and inquirer into the unknown. By rejecting the authority of conventional belief systems while grounding his perspectives in the core of human experience, he manifests content that dissolves barriers between perception and comprehension. Follow Samuel at @samuelpopejoy or view his blog at samuelpopejoy.com. Read more accounts of alleged secret space projects on 10 Secret Space Mission Conspiracies and 10 Crazy Theories And Conspiracies Regarding Mars.